As I’ve setup my Podio systems and processes I’ve come about situations where I need to have a full address string (123 Main St, Somecity, NJ 07981) and other times where I’ve needed only parts of the address…like just the city or the County that the property is in. So the question is, should I have my address field as a single line Location field in Podio or have multiple fields for each part of an address? I know the Location field does have a Multi-Line option, but I’ll get into the issues with that later. I advocate for always going with a multiple field approach. The reason being is that you can always build an address from the different address parts, but you can’t always break an address into it’s parts. …you can always build an address from the different address parts, but you can’t always break an address into it’s parts. Now lets take a look at the reverse. Say you only store the address in a single field. 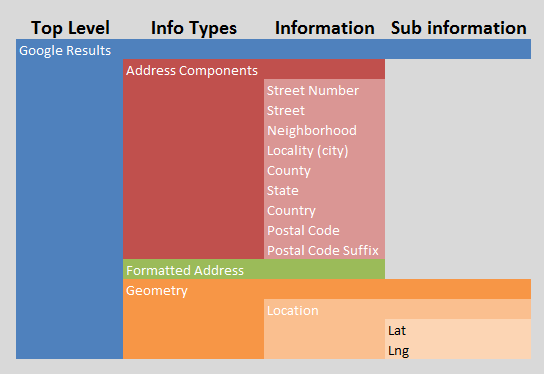 There is no easy way to determine the address parts. You could almost do it by breaking the address up by commas (,). You’ll then be left with breaking up the zip code and the state. The above address as I typed it could be broken up successfully. It would just take about 10 lines of code. Everyone seems to have their own style of typing in the address. Taking all these styles into consideration makes any attempt to break up the address parts very difficult and not worth it. The Podio Location Field does give you the option to use a Multi-Lines style. This does break up the Address into different parts. The issue is that if you try and reference the location field in a calculation, in globiflow or other third party services, you can’t reference the different parts (like city). You only get the full address. Maybe they will change this in the future but that’s not how it is now. In addition to the address of the property, I like to have the county they live in plus the neighborhood. Sure I can just ask them these questions on my contact form. But the more questions you have on your contact forms (or that you need to ask the sellers) the less likely they are to follow through and give you the information you want. It is also annoying to have inconsistent data across all your leads. Wouldn’t you like to have all of the following for every lead you enter into your lead App in Podio? Before I get into the details behind how this is done, I wanted to show you what it looks like real quick. In addition to this post, I've created a FREE Step-by-Step video tutorial for setting this process up. Click button to gain access. Google has a web service where you can request and get all the address information that I listed above. It’s free to use which is hard to imagine. The concept is very simple and just getting the information is just as simple. Here is an example you can click on see the result.. The great part about the Google API is that you don’t need the entire address to have it work. You don’t even need to have it formatted in any particular way. You’ll notice that I left off the zip code. What you’ll get back is all the address information. It will be in a specific format called JSON. What that is is just a web standard for transferring data in an easy to handle format. That is some pretty awesome stuff right!?! So how do we automate this and get the address parts into separate fields in Podio? Great question! The answer is a 2 step process that requires us to use GlobiFlow for part one. Then in part two we will create calculation fields to break out the different address parts. This second part was the more difficult part to figure out. The first part of the process is to make sure you have a Location Field in Podio that you store your lead’s address in. This text field is going to be the place where you store the Full Address Information you get back from Google in that JSON format. So add a text field into your Podio App that has the Multi-Lines option selected. In GlobiFlow we will need to setup a Flow that is triggered off the creation of the property record. This is a fairly simple flow even though it uses an Action that most people are probably confused about. The Remote Post/Get Action is used to call out to a web address (web service or api). That web address will return back some information that GlobiFlow will store in a variable. To get this Action working and making a call to the Google Maps API fill in the fields with the values you see below. You will need to use the field selector on the “Get Params” line to select the Address Field for your podio setup. The example above, [(Property) Address], is from my setup. GlobiFlow doesn’t allow you to type in the field (token) you have to select it from the Field (token) selection list. Now that you have the Address information from Google Maps stored in the AddressJson variable, we need to save that to your Podio Lead Item. To do this we will use an Update Item Action. Next you will select the field you want to put the Google Map JSON information into. In my podio setup I called it AddressJSON. Lastly you select the Variable name that you used in the Remote Post/Get from the Field (token) selection list. Below is how mine looks when all is set. Now you just give the Flow a name and save it. We are not finished yet, but I wanted to review what we have before moving on to the last step. If you were to add a new lead to Podio right now, globiflow would make a call to the Google MAPS API and return to you the full Address Information in JSON format (see image above). This information will be stored in the AddressJSON field in your Podio Lead App. That’s pretty cool right? At least I think so. The problem with this is that information, formatted like that, is not very useful to us. We need to pull out the individual address parts and put them in their own fields. In the next section I will show you how to do that. To be honest this part is not for the timid. It requires some ugly looking calculation field code. Most of you probably didn’t realize that you could do this in a calculation field but lucky for us you can. Back in your Podio Leads App we now need to add 12 new calculation fields. These fields will be for each of the address parts that we want to pull out of the JSON. TO simply put it, we have to just navigate our way through the hierarchy to get the information we want. The killer thing though is that Google doesn’t always return all the information. Sometimes their is no Neighborhood and only city. So my script will loop through each item and check the “TYPE” value. If it matches what I’m looking for I will grab the address part for the field. This approach actually makes things simpler in the fact that I can reuse the same code (only changing what I’m looking for) for each Podio Address field. There are 3 different code blocks that will be used to get all the information. This first code block will be used to get the Street Number, Street, Neighborhood, City, County, State, Postal Code, Postal Code Suffix and Country. 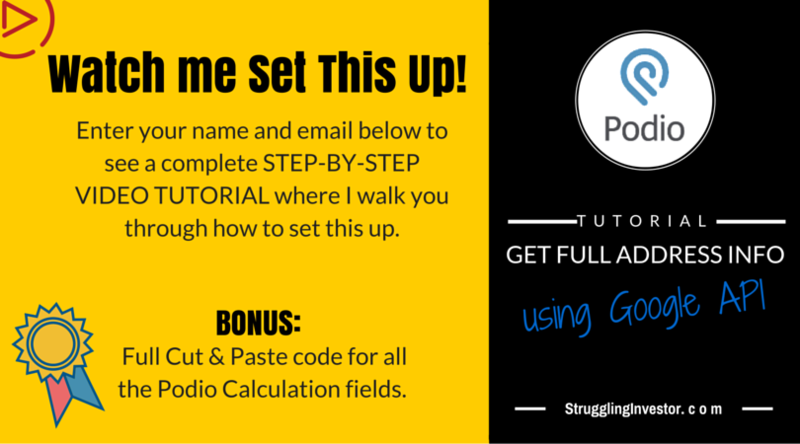 If you want the code for all the calculation fields you can go over to my Free Step-By-Step Video Tutorial. 1 – Re-Enter the @AddressJSON field token. Anytime you cut and paste into a podio calculation field you have to re-enter any field references. So just erase @AddressJSON and type in the @ symbol followed by what you called the AddressJSON field. As you are typing you should see the field in the pick list the appears. Select it from there. 2 – Replace the Text <enter type here> with the Address Part type you are looking for. Take a look at the image to the right to see where the Type information can be found. This code block will be used to get the longitude and latitude information from the Geometry branch of the JSON file. It’s a different route, but is much simpler to get then the Address Components. No looping involved, we can just navigate our way directly to the information. Just like in the previous block, you have to do 2 things once you cut and paste this into your Podio Calculation Field. 2 – Replace the Text <enter type here> with the Address Part type you are looking for. In this case it’s either lng for Longitude or lat for Latitude. Google Maps returns a Formatted Address string in the JSON as well so I like to pull that into a field. Its easy enough and comes in handy from time to time. This code is just like the Latitude and Longitude code. After cutting and pasting this code you only have to do 1 thing. 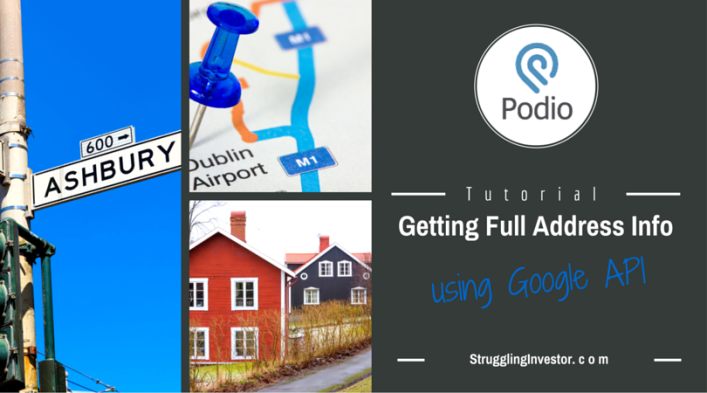 Now every time you add a new lead to your Podio Leads App you’ll get actual Google MAPS data right into Podio. Like I have said earlier in the post, I use this to make sure I have all the parts of an address including the County that the lead belongs too. If you would like a full video tutorial on how I set this process up in my system click the button below. Don from American Dream Property Solutions, this setup was an absolute game changer for automation in my podio. Thank you for sharing! Awesome information as always!! Question, do you if there is a way to automatically pull info from other websites into Podio, such as owners name, address from tax records or phone number from white pages? As always, thanks for the thorough info. Unless the other website has an API there really isn’t a good way to pull the info in. You (or hire someone) to write a webpage scraper that pulls the information from the site. However that method is tedious and unreliable at best. Plus if the website makes any formatting/design changes to their site your scraper won’t work any more. Additionally I wouldn’t do it because there are probably some legal concerns with copy write laws and such. Thank you Scott for this post and your entire blog. I have told you privately how much your blog has helped me, but I wanted to say it publicly as well. Scott thanks for all of the tutorials they have been a big help. For some reason I must be messing up this process. In my AddressJSON text field after the GLobiflow process I keep getting the message. Do you know what could be going wrong? Can you send me a screen shot of what you have in your Globiflow process? That fixed the problem. thank you! Make sure you spell “address” correctly. Works beautifully. Wish I had found your blog post before I watched the video though. That way I would not have had to freeze the video every 2 seconds while I copied the code. Oh well, you put a lot of work into your blog post so it’s only fair I should do so as well! Huge huge thanks. Yes you can do that no problem. You actually don’t need the longitude and latitude to pull the street view from google maps api. You can just use the address. I’m trying to put your street view code to work. Am I misunderstanding how to do this. I’m placing your code in a Podio Calculation field with my address(location) tag after the @. The result is: unexpected token ILLEGAL. Now, I am guessing it’s a semi-colon issue or similar, but I just cannot see it. Whilst, I am at it, do you also know how to use the street info to get 3 images, one of the property, one looking up a street and one looking down a street? That would be awesome. heading indicates the compass heading of the camera. Accepted values are from 0 to 360 (both values indicating North, with 90 indicating East, and 180 South). If no heading is specified, a value will be calculated that directs the camera towards the specified location, from the point at which the closest photograph was taken. The issue is that you have to know what degree to use based on the position of the house. It’s won’t be a consistent value so I don’t really know how to get those degree values programatically. Hi Scott, thank for posting an image of your code. I figured out the problem. I had copied & pasted your code from this blog into the calc field in podio. For some weird reason, podio did not like the speech marks “”. So, I needed to delete those & then type those in again myself. Anyway, I end up with the same preview message you do, however in ‘form view’, I see the message ‘no image’. The address info is fine, so I’m not sure what the problem is. Question? Do we need to do anything in Globiflow to make this work … i.e to output the image to another field? Yup, still can’t make this work unfortunately. You don’t need to do anything in globiflow. First thing you should do is try using a web browser to check to see if the URL actually works. Managed to fix this. In the end I had to re-type all the code by hand. Copying & pasting your code from this page, corrupted the code by rendering the strings un-readable. Now, I shall take a look at the headings issue & let you know. Hey Scott, slightly off topic but would your code above work to parse the below for the average_sold_price_7year, which is 9000? No it won’t. That code is specific to the format that you get back from the Google Maps API. Where are you getting that string from? looks like JSON so something similar to what I created above would be able to parse it. You’ll have to setup a separate Globiflow that is triggered off an update to the address field. The one I have shown in my tutorial is only a Create Trigger. This will solve your problem. I’m sorry to put this question here, but your contact form is not working. I’m wondering in Podio how you collect comparables. I mean for each property you may need to collect 5 data points on 10 similar properties (last sale date, price, type, bedrooms, age etc). That’s 50 records, and you could easily collect 20 pieces of data on each property. So, lets say you were going to get a VA to do this work for you, would you turn round and ask them to fill-in a Podio form with 100 fields on it? This form would be 1km long! I’m wondering how to collect this info into Podio, without having to create & maintain such a long form and would appreciate any ideas you may have. Thanks a lot in advance. I’ll check on the contact form and see what might be the issue. As for your question. I would setup a separate Comps app that contains the information you want to record for a comp. Then in your Property App create a relationship field that supports multiple relationships that links to the Comps App. Then for as many comps that you have you just go to the Properties App and keep adding new Comps. Properly usefull! Tank you so much! This is insanely helpful. Thanks Scott. Thank you so much for all the videos and tutorials. Priceless! What level of subscription to Podio and Globiflow is required to accomplish this or any other meaningful tasks and work-flows? At this time you’ll need a premium Podio subscription and the lowest level Globiflow. Total cost is around ~35 a month combined. Thank you so much for the information you have put up about podio and globiflow, I’m actually using them now instead of wishing I was! I went to the google sight and set up the api but don’t know where to put it in to allow it to pull the information. Looks like google is now requiring an API key with each request. 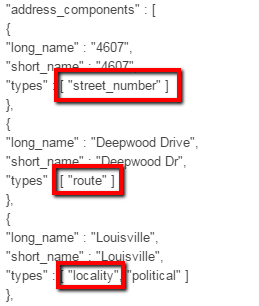 So first you need the correct API KEY and that is the one for Google Maps GEOCODING. Then once you get the key you’ll apply it like this..